Jeannie and her beautiful new quilt. Amazing and congratulations. 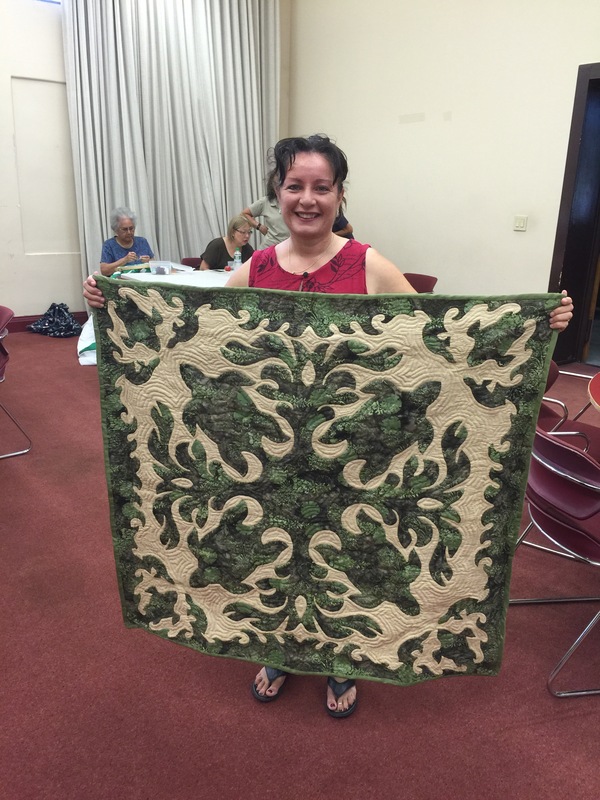 - Hawaiian Quilting With Poakalani & Co.
Jeannie and her beautiful new quilt. Amazing and congratulations.